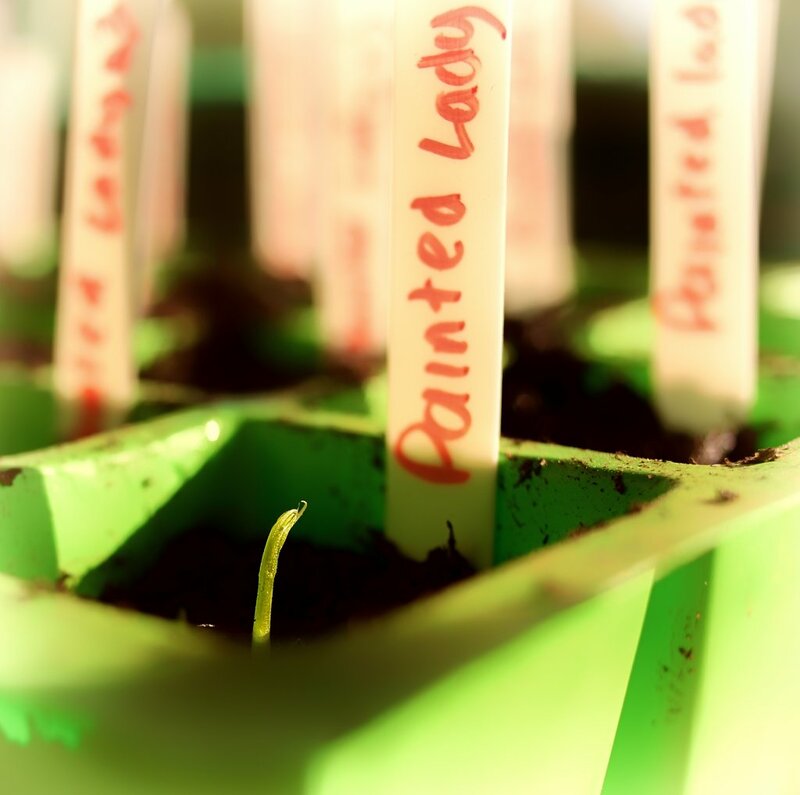 The 20th March and 12 days after sowing, the first of the seedlings are showing through. This one reminded me of a rearing snake and is the largest of the 10 that have pushed up. Its climbing tendrils like a forked tongue, are already visible.